Milestone Kitchens offers a range of free-standing kitchens units in three styles. Each kitchen unit is carefully hand crafted and is constructed using solid pine with supawood in key structural areas. We sell our units online, directly from our website to the customer. Milestone Kitchens units are available for delivery throughout Southern Africa and the rest of the world. Flexibility: You are not forced to endure one look for the next 20 years. Our concept offers a flexible layout, which means that your kitchen can change and grow with your family, home and budget (basically, you can treat your partner every Christmas and buy one piece at a time, building on as your budget allows). Hygiene/Easy Access: In the case of a leak or spillage, or (let's face it), sometimes a rat, cockroach or other unknown mini-demon-like-creature will get into your kitchen and make cosy little homes inside the cupboard linings; not so with free-standing units as the units are not stuck to the walls. Investment: If you move home you can take your kitchen with you. Remember to leave our website address in the empty kitchen! Why Milestone Kitchens Free-Standing Units? Look, there are a number of reasons, but we don’t want to keep you here all day (it’s Africa, the sun is probably out), so we’ve narrowed it down to 3 important factors; quality, cost and style. Quality: If you compare our units with other quality kitchens (we do not use melamine or chipboard), you will likely find that you would pay approximately half as much as you would for a fitted solid wood kitchen. 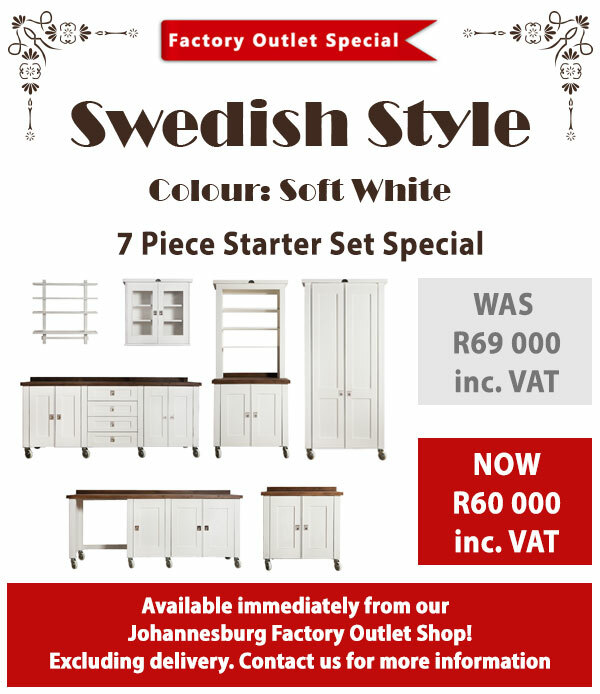 We offer unbeatable value for money when it comes to solid wood kitchens. Cost: With MK you save on consultation, installation and delivery fees (provided you organise your own delivery, although we are happy to do this for you). Almost halving the total cost of your new kitchen. Style: You can choose units that suit the existing decor in your house. We can, of course, match the colour too. "I am very impressed with the fact that you went all out to get me this information at such short notice. Your service is remarkable. I have no doubt that you have a very successful business and very satisfied clients with such efficiently." "Dear Silvia - I love what you have accomplished with your company and the community. You are an inspiration to each and every South African. Keep up the great work. And I can't wait to order my starter kitchen!"